A simple classic from Nikka. This whisky is a superb example of what the company is all about: good whisky, skillfully made. 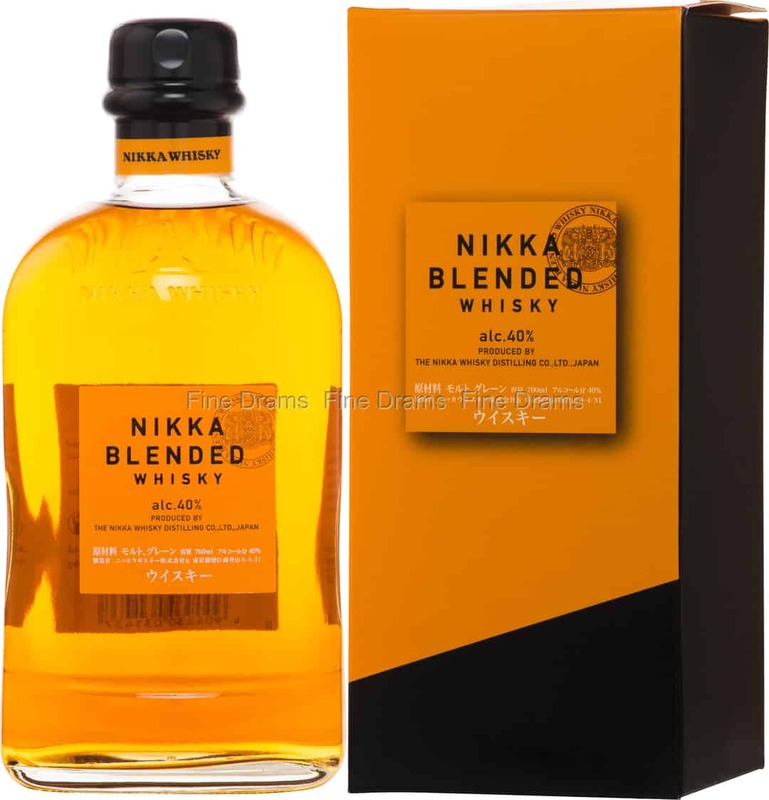 A harmonious blend of spirit from Nikka’s different distilleries, Yoichi (founded in 1934) and Miyagikyo (founded in 1969), Nikka Blended delivers a profile at once complex and refined. Drinkers should expect flavours of soft stone fruit, warming wood spice, vanilla, pressed flowers, tea, oak, toffee and citrus rind. With its plain packaging and simple apothecary-style bottle, Nikka have allowed the spirit to speak for itself. A great introduction into the wonderful world of Japanese whisky, and great value for money too.